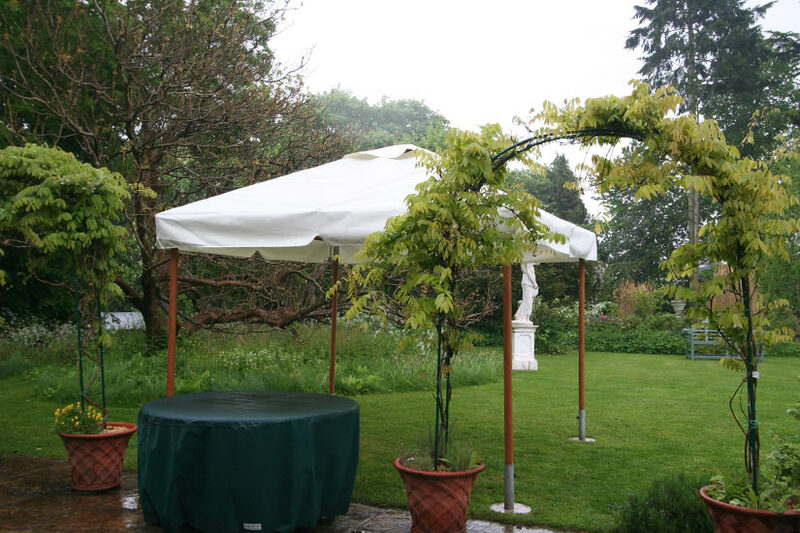 A very good customer of ours had a requirement for an awning on the back of their property to enjoy in the very hot weather being cool under a breathable, waterproof textile. 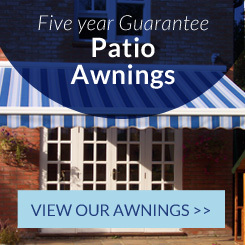 Unfortunately the structure of the property was unable to take an awning. 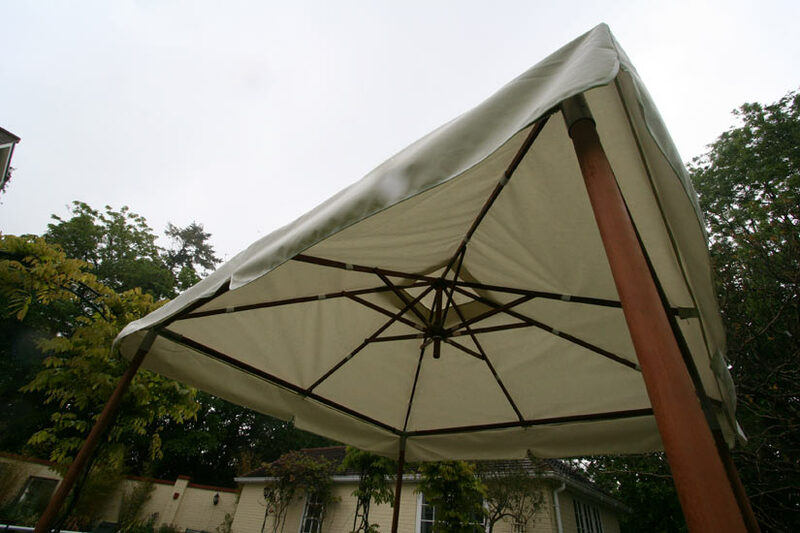 Knowing the customer had a timber gazebo frame that required a new roof I recommended that we recovered it in sunbrella plus marine grade textile which offers both breathability and waterproofness and has a lovely look to the textile. 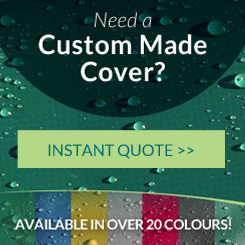 Sunbrella plus does not loose it’s colour owning to its solution dip died make up. 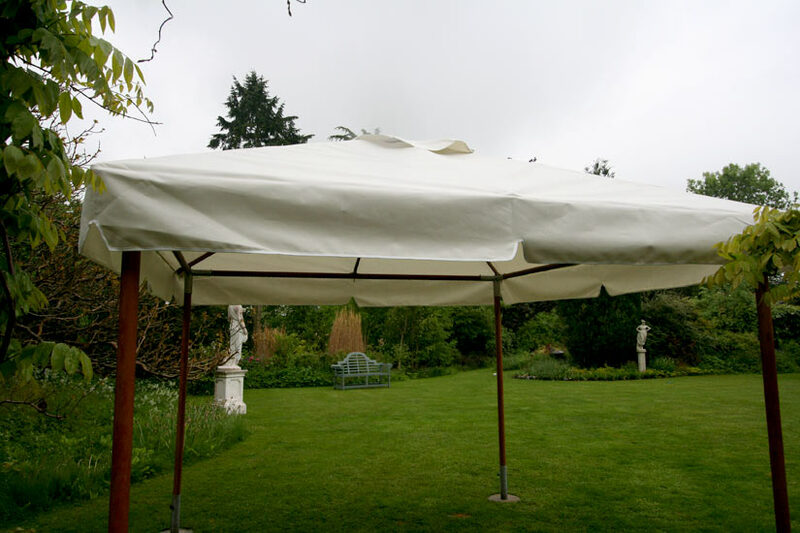 We manufactured the replacement gazebo roof cover with a vent in the roof and zip side pockets for easy of putting the roof on and off.